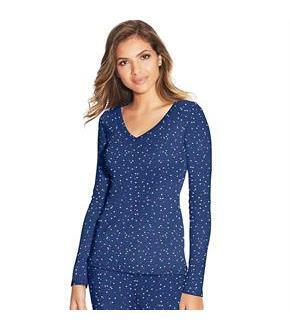 Long sleeve V-neck top is soft and comfy. Ribbed V-neckline and slim fit sleeves. Light, soft, ribbed fabric with a hint of stretch for tossing and turning. Straight hem. Create a set with matching shorts or lounge pants.